Ballycroy National Park was established in November 1998, it is Ireland’s sixth National Park and is located on the Western seaboard in northwest Mayo. It comprises of 11,000 hectares of Atlantic blanket bog and mountainous terrain, covering a vast uninhabited and unspoilt wilderness dominated by the Nephin Beg mountain range. Between Nephin beg and Slieve Carr, at 721metres above sea level, the highest mountain in the range, lie the Scardaun Loughs. 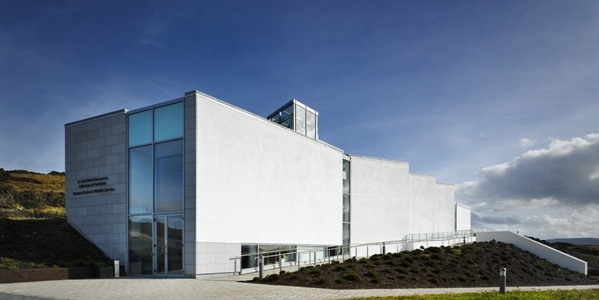 The amazing geology, archaeology, botany and wildlife of this region of north Mayo, is interpreted for us at The Céide Fields Visitors Centre, with the aid of an audio-visual presentation and exhibitions. 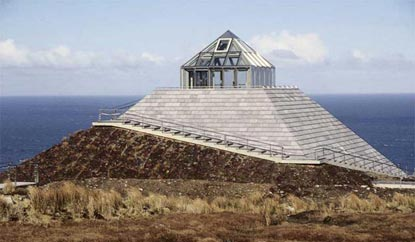 The Centre, a part limestone, part peat clad pyramid shaped building, with a glazed lantern apex. 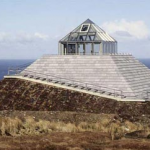 Céide Fields contain a 1,500 hectare archaeological site of stone walls, field systems, enclosures and tombs, dating from about 5,000 years ago, which have been preserved beneath the bog. 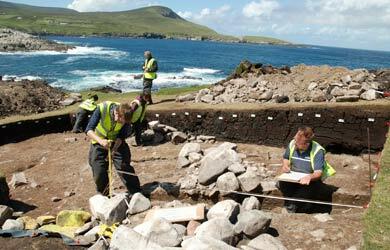 It is the most extensive Stone Age site in the world. The wild flora of the bog is of international importance and is bounded by some of the most spectacular rock formations and cliffs in Ireland. 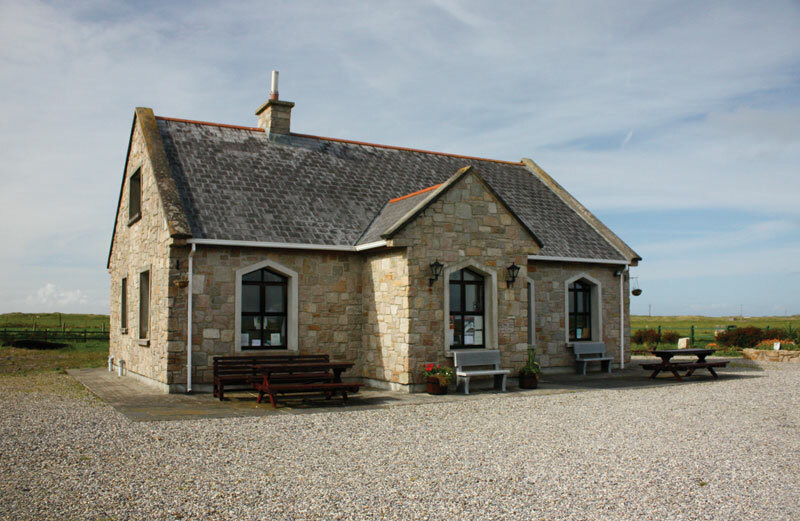 Ionad Deirbhile Heritage Centre houses a wealth of information relating to local folklore, archaeology, local history and an account of a former way of life, i.e. 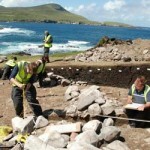 currach fishing, construction of old houses native to the area, etc. and this information is presented in both Irish and English. 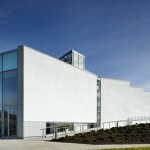 A unique feature of the building is a 10′-high stain-glassed window which illustrates the story of St Deirbhile, after whom the centre is named. 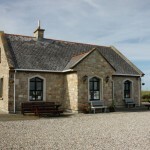 The Research Centre in Belderrig, beside the prehistoric farm site, provides a purpose-built facility in which to continue the research into the ancient human relationship with the environment. The Centre has two laboratories and a lecture/general purpose hall where the ongoing research will be conducted and where short courses relating to landscape and environment will be on offer.